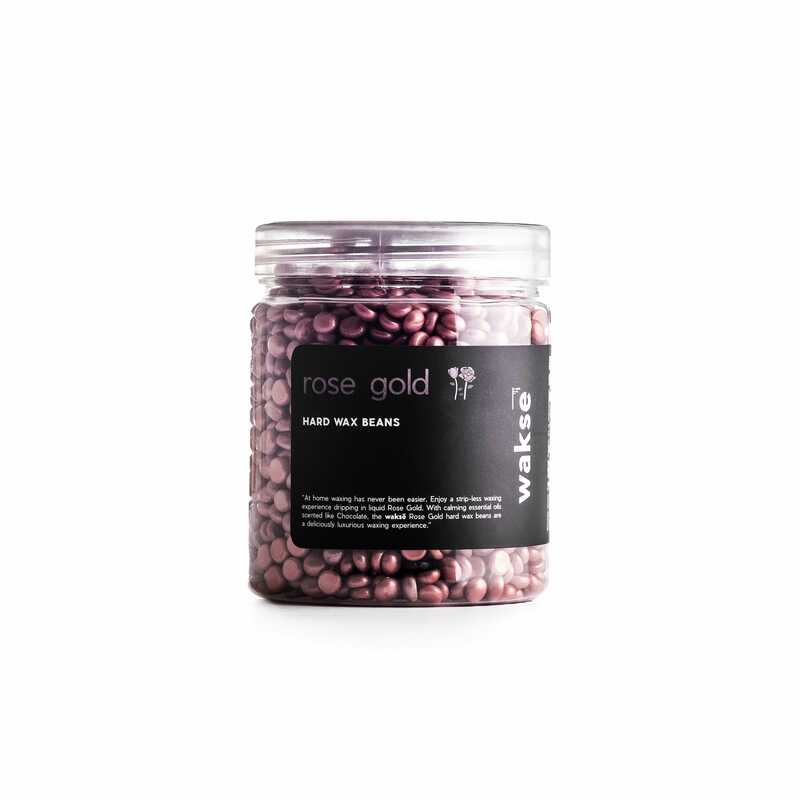 When we recently received a clear jar filled with what appeared to be the chic-est rose gold cupcake sprinkles ever, we immediately thought, ‘Yes! Lunch!’ Then we realized what thousands of people already knew: We were looking at waksé, a new type of at-home waxing system that managed to amass an 8,000-person pre-order list ahead of its recent launch. The last time people got this excited about at-home waxing was… never. 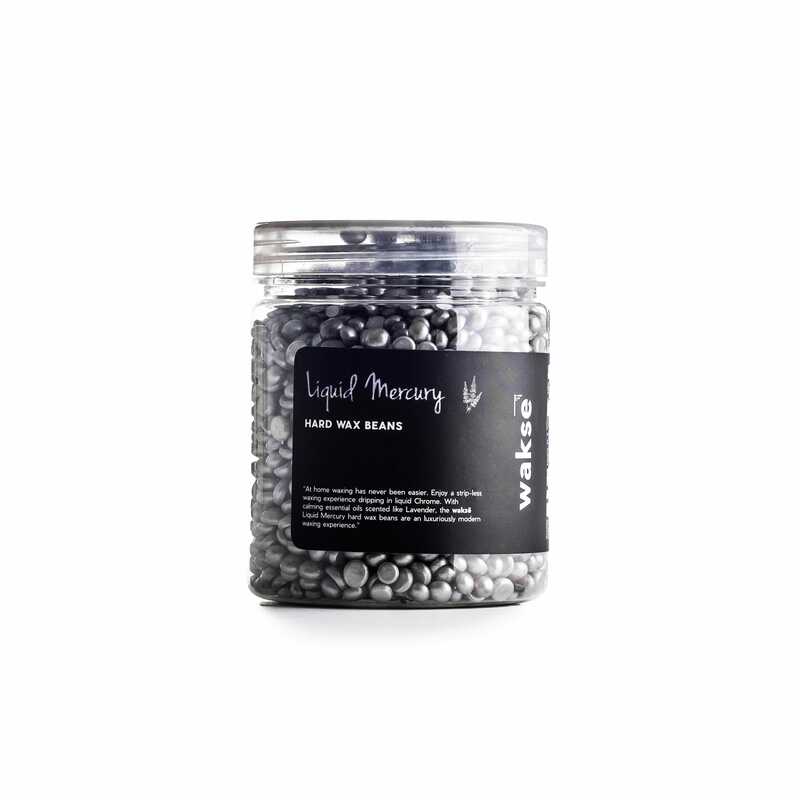 So we took our would-be sugar high (to be fair, it was labeled “chocolate” right on top of the jar) and its companion (a matte black silicone cup, or “melting pot” as the brand calls it) into our bathrooms to see what the fuss was about. 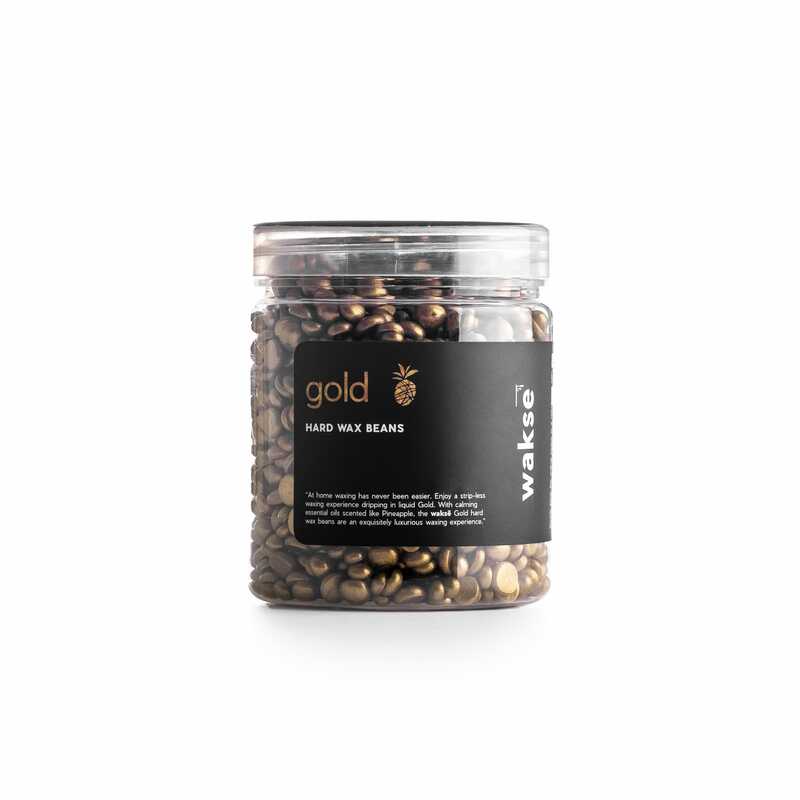 Here’s how waksé works: You pour a serving of the pretty metallic beans (which come in two additional colors and scents: lavender-scented silver and a pineapple-scented gold) into the microwave-safe "melting pot" and nuke them in 30-second intervals. Made of ingredients like cosmetic-grade resin, matricaria flower oil, and aloe leaf juice, the pellets melt into a spreadable, taffy-like consistency. No separate waxing strips are required here, which is major. And there's no messy or unhygienic re-heating of the same wax, which is the case for many at-home kits. After spot testing to make sure the goop wasn’t too hot, we used the included spatula to smooth the substance over our legs and bikini line in the direction of the hair growth. The spatula is on the smaller side, which made scooping the wax from the cup cumbersome; next time, we’ll come equipped with a fat wooden tongue depressor to get the job done. Seconds after spreading the stuff onto our skin, the liquid hardened and was ready to be yanked. Though we’ll never get used to the sensation of ripping hair off the sensitive bikini area, we were relieved to find that the process didn’t tear or cut into our skin or cause a rash, irritation, or excessive red bumps to develop the next day. Our skin was smooth, hair free, and only a little pink afterward — which is the case most times we wax. And, even better, our bathroom trash wasn't filled to the brim with gross hair- and wax-covered strips. The convenience and cleanliness was a major plus, for sure. The brand has put a lot of care into making the chore of waxing an experience so aesthetically pleasing, it begs to be shared on Instagram. The metallic shades are gorgeous and the hard wax innovation makes for a tear-away shot that isn’t messy. But so far, we don’t see a lot of takers using the brand’s hashtag to show their work. Will live body waxing be the next beauty thing to go viral on Instagram? Perhaps. But either way, the innovation and skin-friendly results speak for themselves.